Julian Castro, former United States Secretary of Housing and Urban Development, speaks at the Netroots Nation annual conference for political progressives in New Orleans, Louisiana, U.S.
44-year-old Castro, the grandson of a Mexican immigrant who would be the first Hispanic elected president, served as secretary of Housing and Urban Development under former President Barack Obama and has long been viewed as a rising star in the party. He will seek to position himself as a political outsider with liberal credentials. 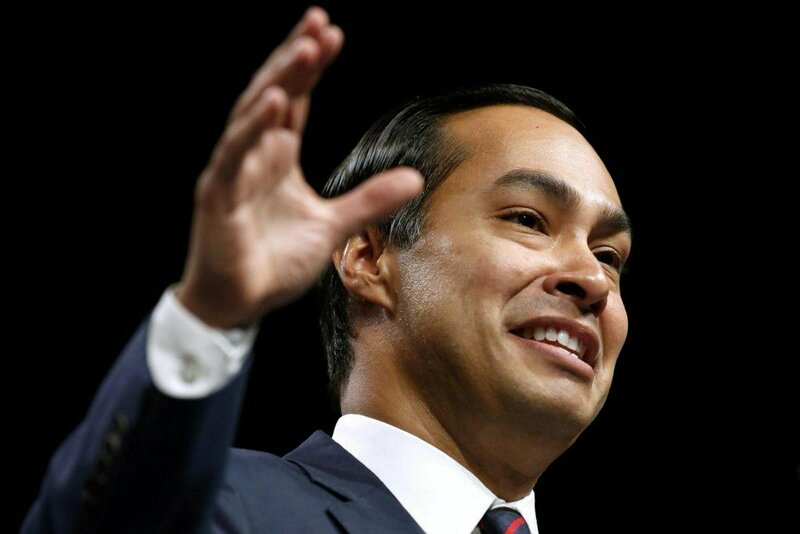 Castro, whose grandmother was born in Mexico, has sought to use his family’s personal story to criticize Trump’s border policies – including criticizing the president by name in his launch speech.